Forest Green Rovers vs Carlisle predictions and betting tips as they meet in League Two this weekend. Which of these two sides will be able to boost their play-off hopes with a win? Read on for our preview of the match and all our free betting tips below. With the end of the season drawing ever closer, the race for the end of season play-offs has plenty more twists and turns to serve up before the season’s conclusion on 4th May. This weekend pits two sides against each other who still believe they can extend their season beyond that point as play-off chasing pair Forest Green Rovers and Carlisle United collide at the New Lawn. 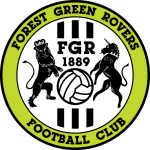 Forest Green Rovers gave their promotion hopes a major lift with a resounding 3-0 win at fellow play-off hopefuls Colchester on Tuesday and they will hope to gain an advantage over another one of their rivals for the top seven with another three points this Saturday. The hosts were not particularly fancied to win promotion this season but they have enjoyed a solid campaign and, thanks mainly to their form on the road, they have upset the odds time and time again to put themselves in a very positive position. Carlisle United suffered a setback when they were surprisingly beaten 3-1 at home by relegation-haunted Notts County in midweek. The Cumbrians did go on an excellent spell of form through December and January but their form since that point can best be described as being inconsistent. Since that point United have been disappointing in contests they were fully expected to win and, thanks to a 2-1 home win over Swindon, they come into this match having claimed just one win in their previous six outings. The importance of three points from this contest for these two sides cannot be understated, and we expect that to produce quite a nervy affair. However, the morale boosting win for the hosts in midweek combined with their visitors poor form suggests to us that a home win looks the most likely result and represents the best opportunity for a decent return. Forest Green conceded at least one goal in 72% of their home matches. 32% of Forest Green’s conceded goals occurred after the 75th minute. 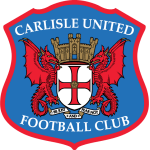 Carlisle have conceded at least one goal in each of their last seven matches. Carlisle have scored in 78% of their away matches.